In Final Fantasy XIV, regardless of your class, your character will have three bars you need to pay attention to during combat. Respectively, HP bar, MP bar as well as TP bar. However, tanks are the rarest thing to find in Final Fantasy XIV at the moment. Everyone knows that tanks are in short supply. Why aren't there more tanks in Final Fantasy XIV? Since a good tank has to be aware of everything going on at any given moment, changing targets, watching threat, maintaining survivability, and moving about hither and yon. Being the tank doesn't mean that you have to be the leader, but you're expected to set the pace of content, both by what you choose to engage and how you choose to do it. For a lot of players, the strain that's inherent to the role is just not a fun ride. Tanking in every game asks a little bit more than other player roles. 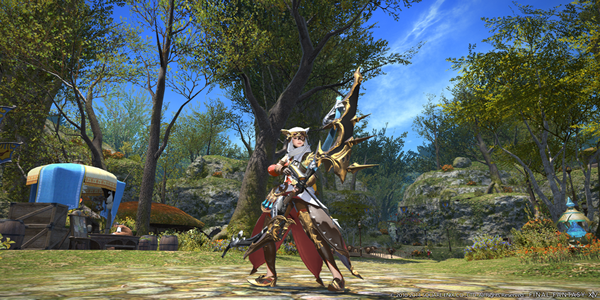 On the whole, tanking in Final Fantasy XIV is a fair bit harder than average. You also have to learn the dungeon as a tank for the first time, something that's hard to do when you started out from a DPS or healing perspective. It should be noted that more exclusive news and guides of Final Fantasy XIV, view more at FFXIV4GIL. The game is available in four languages: Japanese, English, French and German. With a wealth of subtle tweaks and new content, the Gears of Change patch introduces new story quests, beast tribe quests, brand new dungeons and many more.